Geez, Griff, you’re such a whiner. Let me take a stab and some possible answers. 1) Because the project isn’t completed yet? 2) Because any necessary processes or permissions haven’t been completed yet? 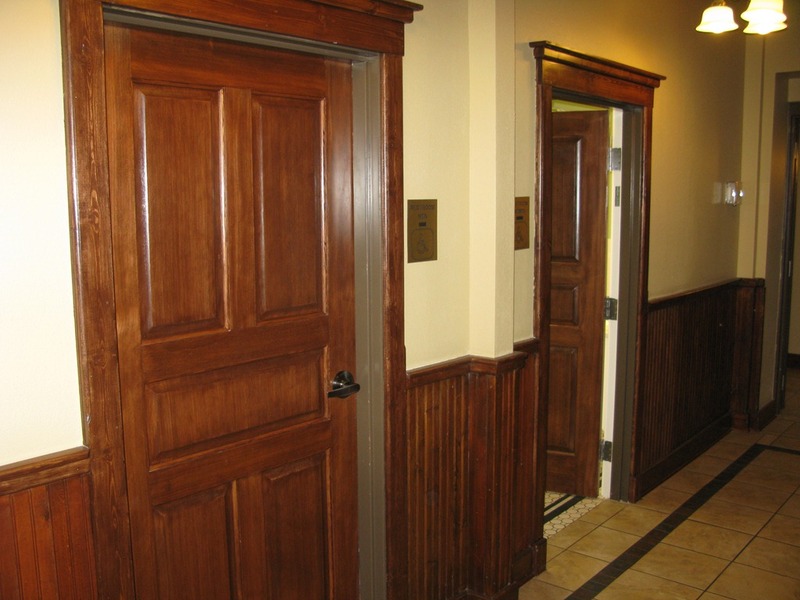 4) Because Northfield wants to keep this quiet until after DJJD so only the townees will use the bathrooms? My pistoferone levels are running high this week, Tracy, so watch out. For $100,000 of taxpayer money, I’d like something to show for it. I guess the question is: does the Archer House actually want to encourage the public to use its newly upgraded public restrooms? If so, then prominent signage is definitely in order. If not, then that was a serious waste of $100,000 dollars of public money. Agreed — there should be at least signage outside the Archer House. Let’s hope they’re a bit more careful about spelling “public toilets,” though (check the tags, Griff 😉 ). What do you have against pubic engagements, Sean? 😉 FIXED! But if Im recalling the discussion correctly, there is some sort of covenant in the agreement between the city and the Archer house covering this idea. From an economic development point of view, the Archer house having spent the reported 1.1 million in improvements ( verify this please city staff) then the 100 K grant to support that is very reasonable. Tagging the the financial transaction with the signage, as you request here, was IMHO a staff ploy to sell the concept. From my lofty seat on the EDA, this project made great sense, even without the dedication of the public’s use of the facilities. There might be city placed signage at various sites downtown instructing those finding themselves in need to seek relief .. such facilities exist at: the Library , Archer House and any other facilities available to the public. In any event … as painful as it is for me to support Tracy’s remarks … it is likely the project isn’t 100 percent complete. There still might be a few tissues to turn, signs to post. How many of those facilities do you think had their bathrooms paid for with taxpayer dollars? Also, do I understand you correctly: you think that the city should’ve paid for the Archer House’s toilets without any expectation that those toilets would be available for the public’s use? That’s a very generous offer. Oh dear. Let’s reformat that. any expectation that those toilets would be available for the public’s use? That’s a very generous offer. Victor, the library’s hours are quite limited on evenings/weekends when the bigger social/cultural events are happening downtown. So I think it’s only fair to the businesses whose bathrooms otherwise get overwhelmed by non-patrons that the City require the Archer House to put up some signs and that the City itself put up some signs. 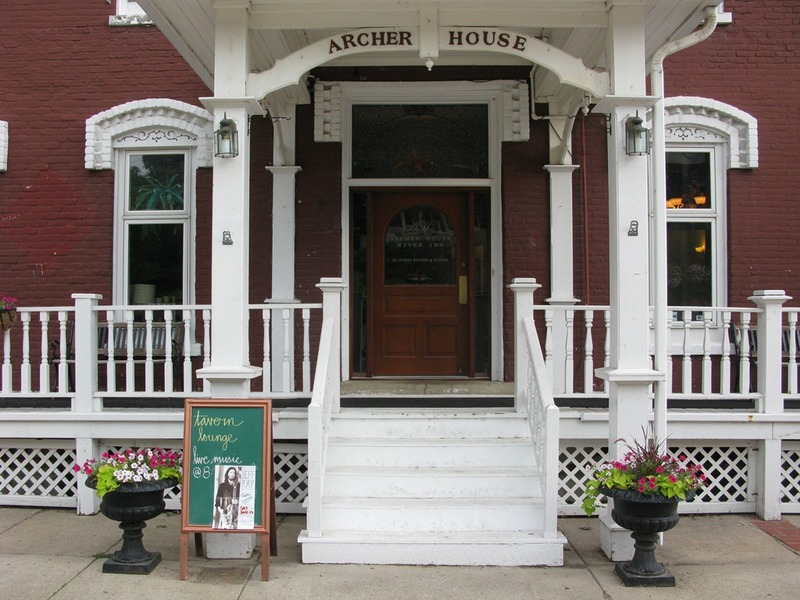 I agree, the $1M the owners spent on renovating the Archer House is great for the economic development of downtown. I think Phil P. is correct, and I like the idea of the fines! 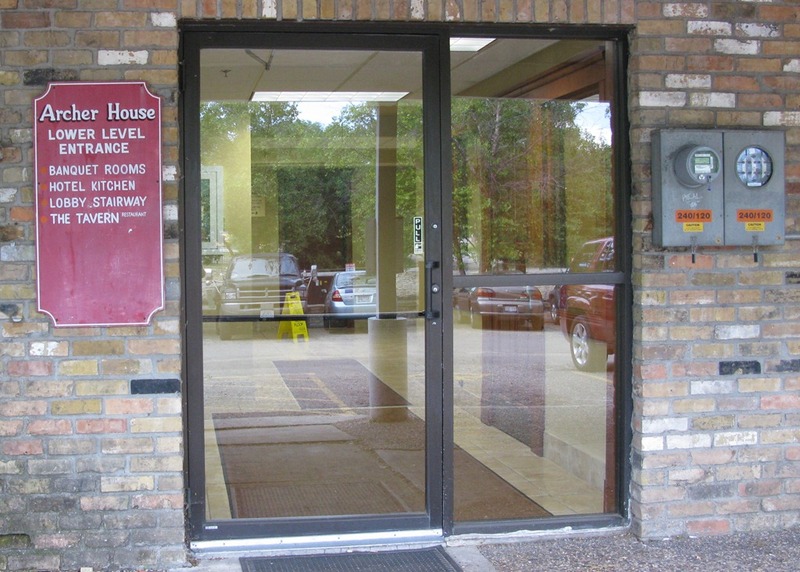 If memory serves, the wayfinding signage in your photo was installed before the Archer House renovation. On that same signage, you’ll note that the library plank shows public restrooms. There could be a plan to upgrade the Archer House plank with the same icon, but these things rarely happen quickly. Perhaps someone could ask Todd what he knows. Dan, who’s in charge of the Wayfinding signs now: the City or the Streetscape Task Force? Seems like it would be a 5-minute item on the next STF meeting. ANSWER: I think the EDA provided 100 K in a loan of a 1 million one hundred thousand dollar makeover project for the Archer House … How do you know that 100 thou was spent on the toilets? Also, pending that FULL expenditure I think it is totally reasonable and precisely within the EDA’s area of operation to make that loan a grant … to give that kind of financial support in a variety of manners. i.e. Upper Lakes Foods, Stradapoint, ID-Insight, various DT smaller projects under the aegis of the its Shearer Micro Grant program. We have a variety of – well two – DT loan programs. These are low interest rated loans that allow a user to improve their property at a lesser cost, thereby encouraging maintenance and re-development. This is much of what EDA’s do … take risks were bankers fear to tread. 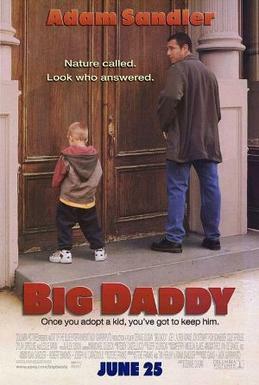 Still, the EDA exercises much oversight in making these kids of decisions. Some times we grant … sometimes we loan. Every transaction is different. I think your contention … the allocation of $100,000 specifically making the ARCHER HOUSE toilets usable by the PUBLIC is a red herring question. Who if not the public uses these? Staff? 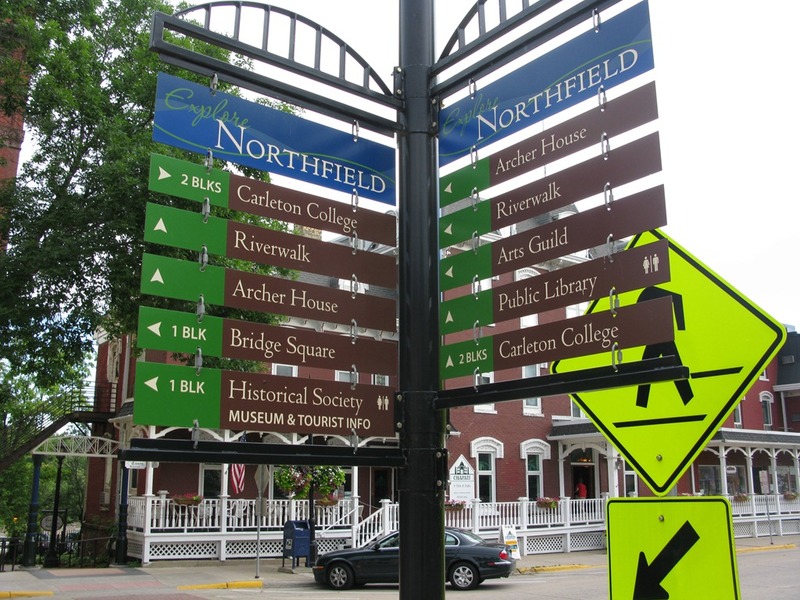 But … the issue is not 100,000 dollars worth of toilets … the issue is, supporting a major icon in DT Northfield in its efforts to provide fiscal momentum in the community. Meanwhile you’ve got 1 million dollars worth of DT improvements to show-off when your friends come to visit … and yes, you can use them even if there’s no sign saying so! Different opinion? Why not apply for a seat on a Board or Commission. It only takes the amount of time you want to spend, plus one or two meetings a month. Very likely far less time than you spend perusing and commenting on Locally Grown. Thank you for not being condescending. I understand that you have a lot of free time on your hands, and that you might not realize how much time a job and a young child can take. Personally, I think that giving as much time as possible to my little girl is an important priority, and that more involvement in governmental affairs is something that will likely have to wait at least until she (and her inevitable future sibling) are in preschool. Fortunately, I can read (and post on) Locally Grown when I have a few minutes of downtime between patients at work, or even sometimes do so at home, with my little girl Josephine balanced precariously on my knee or running around the room. Attending meetings during work hours or with Josephine in tow? Not really feasible at this age. But thank you for your suggestion. I know where the toilets are and there are some people I don’t want to share toilets with so I think the level of signage is just fine. I can tell my friends where the toilets are if I want. During DJJD the committee provides numerous oportunites to ues very nice portable toilet facilities. Dan is right, the way-finding signs went up long before the renovation. Victor has a point, the EDA’s $100,000 leveraged over $1,000,000 in private investment; from one perspective, the public restrooms were a cherry on top of the sundae. However, to get to the heart of Griff’s post, read Jane’s comment. When Mayor Rossing proposed the Community Expectations Ordinance, we learned that Griff will strongly defend his right to pee on the sidewalk, while swearing and spitting. The truth is the signs were posted shortly after project completion. Archer House staff people have been instructed to hide the signs when Griff is around. I think the city should post Jane’s list of people with whom she doesn’t wish to share. Oh, Bright, you are too kind. Unfortunately, by list is a long one and I think the city would probably see fit to charge me for the signage. Plus, there are people I have not yet met with whom I am sure I will not want to share toilet facitlies, so the list would be, alas, incomplete. More’s the pity. As a person who both likes to visit shops in small towns and is part owner of a small town business ((Mantorville Square Antiques and Collectibles), I must say I think the availability of public restrooms is a must for a small town. There is nothing more frustrating than searching for a restoom when one is needed. One of the advantages of mall and big box shopping is that you always know you can find a restroom. Simply, if you want people to shop Downtown Northfield, especially visitors from other areas, you have to supply public restrooms. And people need to know where they are. Thx Barb. I hadn’t thought of that ‘convenience of bathrooms in the big box stores’ argument. What’s your prediction on how long it will be before there are A) public restroom signs on the front and back of the Archer House; and B) the Streetscape Wayfinding signs are updated with restroom icons on the Archer House ‘planks’ on the signs? To put signage on a storefront may make the public more aware of the availability of restrooms, but I venture to share my experience that when the need to use such a facility presents itself to any given individual, that individual will seek and find a restroom, convenient or inconvenient, public or private, whether there is or is not signage. Have to agree with that, Efie. And if it is too difficult to find one, people know they can always head out to the highway, a few minuntes away, and find a restroom at a fast food restaurant or a big box store. The sooner we make things convenient and enjoyable for people,the sooner you will see the results we seek.